The purpose of this STC is to allow the installation of several models of the Lycoming O-320 engine (150 or 160 HP conical mount) into the Piper PA-18 Series aircraft. In order to accomplish this task, both the airframe and engine are modified to provide near identicality with the Piper PA-18-150 configuration. 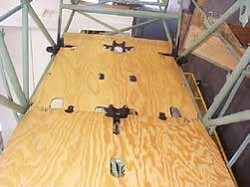 By properly modifying your aircraft you will meet the requirements of this STC. 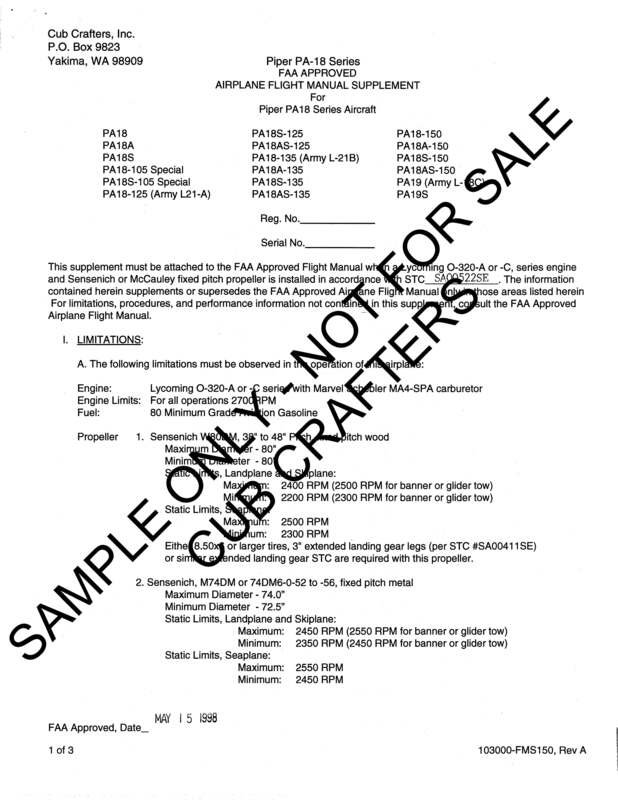 Any other Lycoming O-320 engine converted to one of these models is also eligible. See the appropriate Lycoming Service Bulletins and Service Instructions for conversion information. 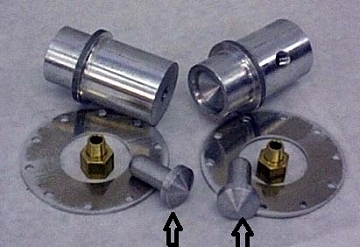 The O-320-D2B and O-320-D2C must have Slick Impulse Coupling magnetos installed per Slick STC #SE862GL. See Slick Service Letter SL1-85. All other engines may be equipped with Slick magnetos per Lycoming Service Instruction #1443C (or later revision).